ISPA’s liability and cyber security groups have had a very busy start to the year with numerous meetings and roundtables with DCMS, the IPO and the Cabinet Office. We will continue to work closely with government to raise members’ ideas and concerns on key industry issues. Members are kept informed of updates and insights via our liability mailing list; if you are a member and you wish to join please do get in touch via admin@ispa.org.uk. ISPA has similarly been busy regarding Broadband, ISPA representatives attended the Ofcom Annual Plan stakeholder event and the subgroup is currently preparing a response to the Plan outlining where Ofcom should be focusing its work to better serve the needs of the industry. This is the final call to register for the 2019 ISPA Awards. 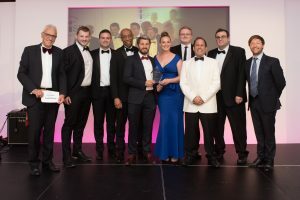 For the 21st year, ISPA is looking to reward the best and most innovative categories, from the long-standing classic broadband and hosting categories through to newer awards for Customer Solution, Infrastructure and Partnership. Registration can be made at: https://ispa.thinkbroadband.com/. All ISP and hosted categories undergo technical testing between 1st February until 31st March. You will also need to submit a written entry submission by 29th March. The ISPA Awards are a great way to promote your company. The finalists and winners can publicise their victory through awards logos that can be displayed on all marketing materials, including your email signatures and your website, in the years to come. 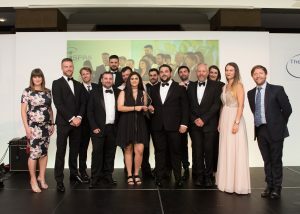 The ISPA Awards ceremony is one of the highlights of the ISP calendar for our members where you can meet all your peers and celebrate another successful year in style. For more information on the ISPA Awards and all categories, please visit our website https://www.ispa.org.uk/ispa-awards/. The winners will be announced at the gala ceremony and dinner in July 2019. To join them in being associated with excellence in the sector, raise your company’s profile by sponsoring the networking drinks reception or any of the individual categories, please contact awards@ispa.org.uk. All ISPA members are invited to the SD-WAN Workshop with Juniper Networks and Xantaro, which will take place on Thursday 7th March from 1.15pm at the ISPA offices, 69 Wilson street, London, EC2A 2BB. The workshop will include sessions on the SD-WAN market dynamics; Contrail SD-WAN: Leading Enterprise Branch Transformation (Technology Focus); and Insight in to a Juniper Networks SD-WAN deployment – with a lab demonstration. Find out more on our website here and RSVP to admin@ispa.org.uk to secure your free place. ISPA Conference 2019 - Save the date! ISPA commented on Which? report into broadband speeds which was covered by ComputerWeekly, Wired, ISPReview and Advanced Television. ISPA offers up to £250 discount on the tickets for the 5th Annual Data Quality and Consistency in Financial Institutions Conference, taking place this month. Click here to find out more. We are also partnering with SmartHomeExpo, the UK's ultimate event for the smart technologies revolutionising the way we live, on the 26 & 27 of March 2019 at the NEC Birmingham - get your free tickets here. Other events that ISPA partners with are Customer & User Experience Expo and Call & Contact Centre Expo, both taking place on 27th and 28th March at the Excel in London. Both events are free to attend.